Kitchen Table builds meaningful, in-person connections through intimate, shared dining experiences. Our community of welcoming, creative, entrepreneurial, and passionate Hosts have the ability to host a meal or gathering in their home or space and be joined by a table full of others including friends, neighbors, other professionals and creatives, and newcomers. Why we gather matters. Here’s how we gather. —Hosted in one of our Host’s homes. —This series is for female entrepreneurs and women in business to connect with an expert who will facilitate a thoughtful discussion on a series of business topics including executive coaching, personal development, brand strategy, and startups. —Hosted in one of our Host’s homes or spaces. —This is an intimate dinner series where a founder shares their story about who they are, where they came from, and how they built their company. Guests are entrepreneurs, founders, CEOs, small business owners, side-hustlers and anyone interested in joining. —This is an intimate Dinner or Thought Leadership gathering where a nonprofit organization shares their purpose and why it matters — especially now. Guests are friends, fans, donors, activists, philanthropists, artists, residents, and anyone interested in joining. Search for meals and events by neighborhood, host name, date, or purpose. Our Hosts are entrepreneurs, founders, creatives, professionals, and chefs who love bringing people together. 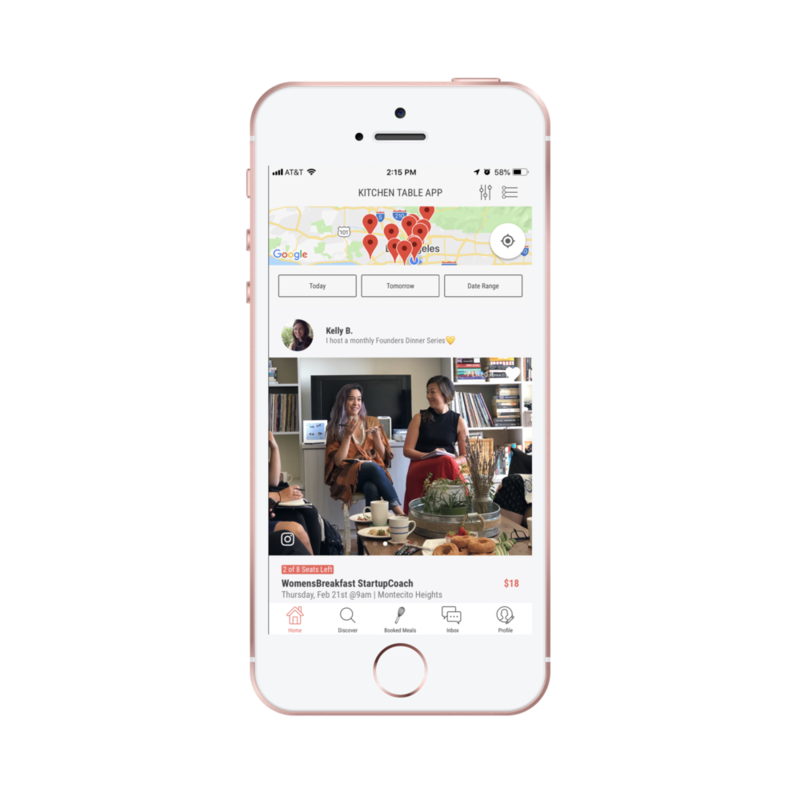 We first created the app so you can browse, book, and invite a friend wherever you are. You can also browse and book your seat online. Be part of something special, eat well, laugh, share, and connect with interesting individuals at the table. We're on a mission to turn ordinary meals into memorable experiences you’ll never forget. *Not an iOS user? No worries! You can search and book your seat to all our meals and gatherings on our site. Just click Book A Seat above.